While walking towards the Longfellow Bridge via the back bay area, I saw tens of wild ducks swim back and forth in a small tributary of the Charles River. They seemed to have no certain destinations — maybe for them, keep swimming is just a lifestyle, like human beings keep working. 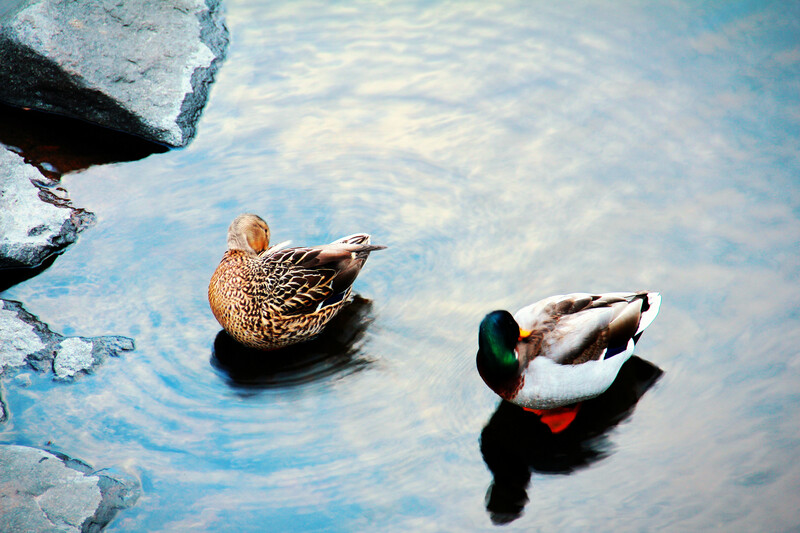 There are two types of ducks, one with somewhat brown feather, and the others are green-headed. Lucky for them, in the world of wild ducks, “race discrimination” is not an issue: different ducks swim together — they are even on the same wavelength about how to pose in front of my camera.